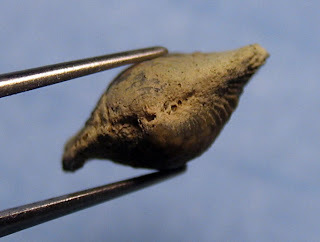 After researching the Fossils of Ohio and Index Fossils of North America books and the KYANA Geological Society and Dry Dredgers websites for an image of a brachiopod similar to this one, I am at a loss to find a name. 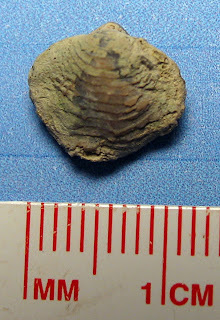 It reminds me of a Devonian Period Athyris but this brachiopod was found in the Ordovician Period Kope Formation, Carroll County, Kentucky. 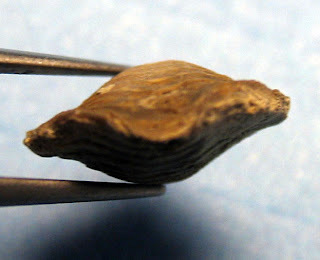 I only found one and discovered it while cleaning a group of brachiopods out of a group of maybe 20. 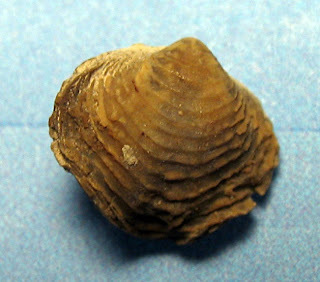 Any guesses what this brachiopod might be called? UPDATE: It appears this brachiopod cannot be from the Ordovician Period so either I mixed it up with another fossil batch or someone dropped it there. I visited the area again and could not find anything close to what this one looks like. 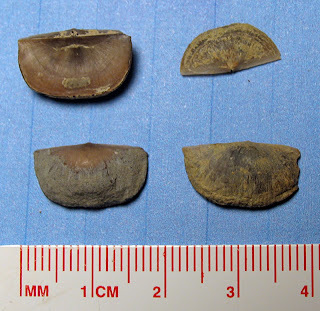 It does look like a Mississippian Period Cleiothyridina sublamello from the Glen Dean Formation of Indiana. See the fossilicious.com web entry for a picture. The size they describe would make it much larger than the one pictured here. Commissura or margin where shell halves open and close (anterior). 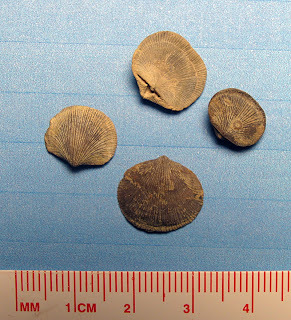 The other type of brachiopod found were these Sowerbyella sp.